When an employer lets an employee go, a severance package may be offered as compensation. These contractual agreements provide financial assistance and other benefits to the employee following job termination. While a severance agreement can be a vital lifeline during the difficulties posed by unemployment, it may also mean that the employee is waiving important legal rights. If you have been offered a severance package, an attorney should review it to ensure your rights are protected. It can be difficult for you, as the employee now facing a daunting job hunt, to make heads or tails of the content and important information is often overlooked. Attorney Chris Olsen in San Diego, CA, has been practicing employment law since 2005, and has the knowledge to determine your best course of action before you sign a severance package. Your first consultation is at no charge, and with your input, we can develop a strategy that fully meets your needs. A severance agreement may provide terms and condition for more than pay following the end of our employment. Health benefits, sick and vacation leave, employment grievance procedures, and required employee behavior can all be detailed in the agreement. Severance pay: Your pay upon termination or being laid off should include additional compensation, over and above your final paycheck. The amount may depend upon company policy and how long you were employed. It is also possible to negotiate an amount of severance pay that will adequately cover your needs while you seek new employment. Before agreeing to the offer, talk over your situation with an attorney who can get you the best bargain. Time off: Over the course of your employment, you accrue time off. When you are let go, it is appropriate to be paid for unused time. This could also include holiday pay, vacation, and sick days that you have not yet used but have earned. Benefits: One of the perks of most jobs is the benefits package, including health and other types of insurance. When you are no longer employed, you may lose these valuable benefits and be forced to find replacements – often at a higher price. Under certain federal laws (Consolidated Omnibus Budget Reconciliation Act, known as COBRA) you can elect to maintain your health insurance for a period of 18 months, but you will be responsible for the premium payments. Considering the costs of health insurance, life insurance, and disability, these are an important part of reviewing the terms of any severance offered. You should be given enough compensation to cover these costs, on top of any severance pay and other provisions of the severance agreement. Unemployment: Many unemployed workers rely on unemployment benefits to make ends meet, but if your employer puts a provision in your severance agreement prohibiting you from doing this, you can miss out on additional funds. 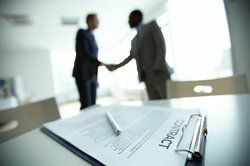 Be sure to have a qualified attorney examine your severance package agreement for this provision before signing on the dotted line. Although a severance package is a binding agreement, consent can be revoked. Under the Older Workers Benefit Protection Act, for example, employees over 40 years of age may rescind their authorization within seven days from the date of signing. However, it is best to be sure before you sign so you do not have to worry about possible revocation. While a severance agreement can be a vital lifeline during the difficulties posed by unemployment, it may also mean that the employee is waiving important legal rights. Is severance pay required by law? California has no legal requirement that employers provide severance pay. In most cases, the issues are governed by the company policies found within the employee handbook. A careful review of these provisions is required to determine the full extent of what you are entitled to receive. Carefully reviewing company policies is just one way that an attorney can determine whether an offer is fairly meeting your unique needs. Can my employer make me sign an agreement not to sue in exchange for a severance package? Your employer may request you sign an agreement not to sue in exchange for severance, and doing so will waive legal remedies you may have against your employer. If you have a potential lawsuit against your employer from an event related to your employment, it is best to have that action reviewed before you give up any legal rights to pursuing the matter. Many waivers are drafted with the employer in mind and by attorneys working for the employer. You deserve legal representation also, to protect yourself and make sure you are not giving up valuable rights. How much severance pay should I expect? The amount of pay you get depends on many factors, such as the company policy and how long you were an employee. Each case is different and requires a look into the facts to make a determination as to what you can expect to receive by way of severance pay. Will my severance be taxed? Severance pay is subject to state and federal taxes, as well as social security and Medicare taxation. Contesting: In some cases, someone receiving a severance package may have been illegally fired. Discrimination and breaching contracts are examples of illegal termination. In these situations, an employee should consider contesting a severance agreement and pursue other legal options. Reviewing: An employee reviewing their severance package may see nothing wrong with it, and want to sign right away. An attorney who is skilled in such matters, however, can often find ways to improve the contract to deliver more advantageous outcomes. Negotiating: Employees often mistakenly feel they have no power in negotiating the terms of their severance agreement. There are actually a number of ways that a severance package can be modified to the benefit of the employee. For example, pay may be increased, or the duration of the severance agreement and its benefits may be extended. When you are released from employment, your finances and future job opportunities become a major concern. Protect your immediate and long-term interests by seeking legal advice on your severance agreement. Working with attorney Chris Olsen, you can decide whether to contest or renegotiate. Contact his practice today and schedule your consultation online or call (619) 550-9352 to discuss your options.